The Brattleboro Selectboard will meet on Tuesday, September 18, 2018, at 6:15pm in the Selectboard Meeting Room at the Municipal Center. ASL interpreters will be available for deaf and hard-of-hearing community members. The Traffic Safety Committee meeting previously scheduled on September 20, 2018 has been CANCELLED. The next meeting is scheduled on October 18, 2018 at 8:00am. The following will summarize the proposed motions for the Selectboard meeting on Tuesday, September 18, 2018 starting at 6:15pm. A. First Class Liquor License and Outside Consumption Permit – MKR LLC, d/b/a India Masala House The Selectboard previously approved a first class liquor license and outside consumption permit for MKR LLC, d/b/a India Masala House, at 1380 Putney Road and is now asked to approve a first class liquor license for this business at its new (relocated) location at 889 Putney Road (in the Colonial Inn building). All the required paperwork is in order and Town staff recommends approval. POTENTIAL MOTION: TO APPROVE A FIRST CLASS LIQUOR LICENSE FOR MKR LLC, D/B/A INDIA MASALA HOUSE AT 889 PUTNEY ROAD. A. Hinsdale Bridge Project – Agreement to Relocate Water Main on Vernon Road The Selectboard is asked to authorize the Town Manager to execute an agreement with the Vermont Agency of Transportation (VTrans) to reimburse the Town for the cost of relocating a water main on Vernon Road. The relocation is necessary to accommodate the new Hinsdale Bridge. Staff recommends an increase in the size of the main from 8” to 12” to accommodate potential future growth on Vernon Road. This “betterment” would be constructed at a Town expense of $50,000. POTENTIAL MOTION: TO AUTHORIZE THE TOWN MANAGER TO EXECUTE A UTILITY RELOCATION AGREEMENT WITH THE STATE OF VERMONT’S AGENCY OF TRANSPORTATION, AS PRESENTED, AND TO APPROVE AN EXPENDITURE OF $50,000 FROM THE UTILITY FUND TO INCREASE THE SIZE OF THE VERNON ROAD WATER MAIN FROM 8” TO 12”. The Selectboard is asked to authorize the purchase of three vehicles within the Utility Division. Each vehicle will be purchased using the state bid, and in each case the low bid was provided by Shearer Chevrolet of Burlington, Vermont. A ?-TON EXTENDED CAB PICKUP TRUCK IN THE AMOUNT OF 29,904, WITH A DEDUCTION OF $10,000 FOR A VEHICLE TRADE-IN, RESULTING IN A FINAL PRICE OF $19,904; A ?-TON EXTENDED CAB WITH PLOW IN THE AMOUNT OF $36,936; AND A CHEVROLET VOLT HYBRID IN THE AMOUNT OF $32,520, WITH A DEDUCTION OF $4,000 FOR A VEHICLE TRADE-IN, RESULTING IN A FINAL PRICE OF $28,453. A. Ordinance Amendments – Public Hearing, Second Reading, and Final Adoption (i) Chapter 11 (Licenses and Permits), Article IV (Taxicabs/Vehicles for Hire) The Selectboard is asked to hold an additional second reading and continue the public hearing on ordinance amendments to Chapter 11, Article IV. The Board held first reading of these amendments on August 21 and an initial second reading and public hearing on September 4. Additional information was requested as a result of the September 4 public hearing. Staff has provided that information in the Selectboard’s notebooks in a memorandum dated September 12 from Town Manager Elwell. POTENTIAL MOTION: TO APPROVE AMENDMENTS TO THE CODE OF ORDINANCES AT CHAPTER 11 (LICENSES AND PERMITS), ARTICLE IV (TAXICABS/ VEHICLES FOR HIRE), AS PRESENTED. A. Hinsdale Bridge Project – Finance and Maintenance Agreement with VTrans The Selectboard is asked to authorize the Town Manager to execute a Finance and Maintenance Agreement with VTrans that specifies State responsibilities and Town responsibilities related to the new Hinsdale Bridge. POTENTIAL MOTION: TO AUTHORIZE THE TOWN MANAGER TO EXECUTE A FINANCE AND MAINTENANCE AGREEMENT WITH VTRANS, AS PROPOSED. B. FY18 Year-End Financial Report – Final But Unaudited Staff will present the unaudited year-end financial results for FY18. Overall, the General Fund finished the year $450,322 “to the good.” That surplus is approximately 2.6% of the $17,493,841 budget, which is in the normal range of between 2% and 3%. C. Monthly Financial Report – August 2018 Finance Director John O’ Connor will present the monthly financial report for August. D. Retreat Farm – Settlement of Litigation Re: Property Value and Tax Exempt Status The Selectboard is asked to authorize the Town Manager to execute a stipulation to settle a dispute and dismiss a pending court action between the Town and Retreat Farm Ltd. The stipulation is the result of extensive negotiation between the Town and Retreat Farm Ltd. It specifies which parcels owned by Retreat Farm Ltd are exempt from property tax and also provides for Retreat Farm Ltd to pay the Town a voluntary annual fee of $6,000. POTENTIAL MOTION: TO AUTHORIZE THE TOWN MANAGER TO EXECUTE THE STIPULATION WITH RETREAT FARM LTD, AS PRESENTED. E. Municipal Planning Grant For Downtown Design Plan – Authorize Application The Selectboard is asked to adopt a Resolution and to authorize the submission of an application for a Municipal Planning Grant in the amount $22,000 from the Vermont Municipal Planning Grant Program. The grant funds, together with local resources, will be used to engage professional technical assistance for the preparation of a Downtown Design Plan. A “design plan” is a particular model of master plan that was selected by the Brattleboro Planning Commission for this project. It focusses on community building and placemaking activities within the chosen environment. POTENTIAL MOTION: TO ADOPT THE FY19 RESOLUTION FOR A MUNICIPAL PLANNING GRANT AND TO AUTHORIZE THE SUBMISSION OF A GRANT APPLICATION IN THE AMOUNT OF $22,000 TO THE VERMONT MUNICIPAL PLANNING GRANT PROGRAM. 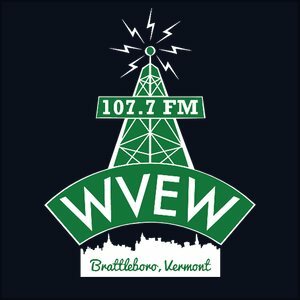 POTENTIAL MOTION: TO AUTHORIZE VICE CHAIR BRANDIE STARR TO SIGN A LETTER TO THE VERMONT DEPARTMENT OF ENVIRONMENTAL CONSERVATION ON BEHALF OF THE BRATTLEBORO SELECTBOARD IN SUPPORT OF THE PROPOSED RIVER CORRIDOR EASEMENT. G. Subordinate Existing Small Business Assistance Program (SBAP) Loan –Hermit Thrush Brewery In March of 2017, Hermit Thrush Brewery received a Small Business Assistance Program (SBAP) loan in the amount of $70,000. They have made regular, timely loan payments and the loan has a current balance of $54,797.75. Cash flow at the business has been negatively affected after defective packaging from a third party resulted in a product recall. Hermit Thrush requested and the SBAP Loan Committee approved a four month period of interest-only payments (August through November). Hermit Thrush also requested that the Town accept subordination of the SBAP loan from 4th position to 5th position, behind a new line of credit from Brattleboro Savings and Loan that will address the cash flow concern. The SBAP Loan Committee recommends Selectboard approval of the requested subordination. POTENTIAL MOTION: TO AUTHORIZE THE TOWN MANAGER TO EXECUTE A LOAN SUBORDINATION AGREEMENT IN CONNECTION WITH THE SMALL BUSINESS ASSISTANCE PROGRAM LOAN FOR HERMIT THRUSH BREWERY. H. Request For Consideration of Bulky Item Pick Ups and Other Solid Waste Matters – Selectboard Member Shanta Lee Gander will ask her Selectboard colleagues to consider adding bulky item collection to the Town’s curbside collection program and to consider conducting a survey to solicit public input on the Town’s Pay–As-You–Throw (PAYT) program. I. Committee Appointments and Organizational Matters (i) Appoint Patrick Moreland to Small Business Assistance Program Committee (ii) Appoint Members to Town Boards and Committees The Selectboard is asked to appoint Assistant Town Manager Patrick Moreland to fill the “administrative staff” seat on the SBAP Loan Committee that was vacated by the departure of former Planning Director Rod Francis. POTENTIAL MOTION: TO APPOINT ASSISTANT TOWN MANAGER PATRICK MORELAND TO THE VACANT ADMINISTRATIVE STAFF SEAT ON THE SMALL BUSINESS ASSISTANCE PROGRAM LOAN COMMITTEE. The Selectboard also is asked to nominate and appoint members to the Citizen Police Communication Committee, Conservation Commission, Development Review Board (Alternate), Recreation and Parks Board, and Traffic Safety Committee, as set forth in the Board’s back-up materials. A night off, for me. Each year or so, I give the Selectboard a break. One free meeting where they can say or do anything and I won’t write about it. Tonight’s that night. The freebie. I would be very impressed and grateful, however, if any one (or more!) of you reading this would watch and share a few notes. It doesn’t have to be a full story, just some highlights you find interesting. What’s up with that Retreat settlement? How bad are things for Hermit Thrush? Did they pass the vehicle for hire rules yet? You picked the night I had to step in to chair the meeting! But on second thought, maybe that’s a good thing… since I had a couple screw-ups, so now LESS PEOPLE WILL KNOW THAT!